As promised, some of the photos from my #100HappyDays Challenge. These aren’t necessarily my favourite photos, but they’re ones which a) I don’t mind sharing with the internet because they don’t have any people or personal things one, and b) have a bit of a story to them. Day 22. 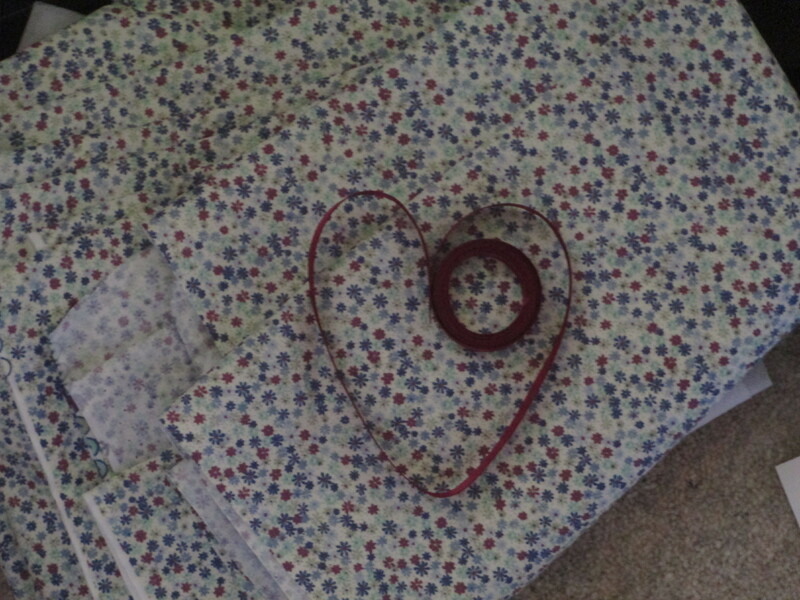 This is some pretty fabric and ribbon which I bought to make into a dress. Day 54 was a photo of me wearing the dress which I made from it, which was the first dress I’ve ever made (I made a top earlier in the year) and it’s actually good enough to wear, so I was very proud of my achievement. Day 26. I bought this ukulele on that day. It’s just a cheap one, but I like playing it (Day 58 is me sitting on my windowsill playing it). 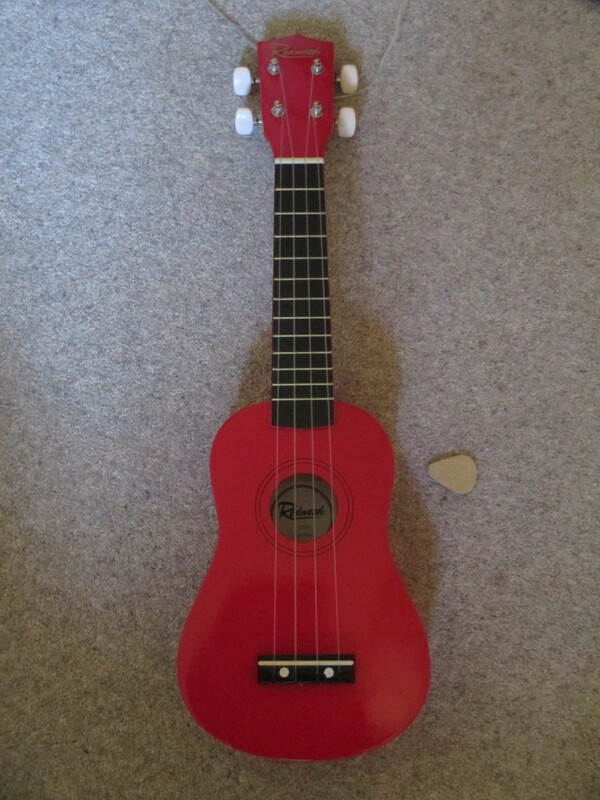 I chose a red one because red is my favourite colour and it goes with my room colour scheme. And I’m one of those people who names my instruments, so she is called Sally. If anyone was wondering, my cello is called Lily and my clarinet is Harry (but he hasn’t met the ukulele yet). Day 27. Walking home from the bus stop, the sun was shining, I took this photo just to show what beautiful weather we were having at the time. I generally don’t cope very well in heat and sun (see my Happy Cafe post) but at the beginning of this summer we had weeks of warm weather, where it was always sunny and I could go outside in just a dress or shorts, and it made me really happy. Day 28. Les Misérables 25th Anniversary concert. 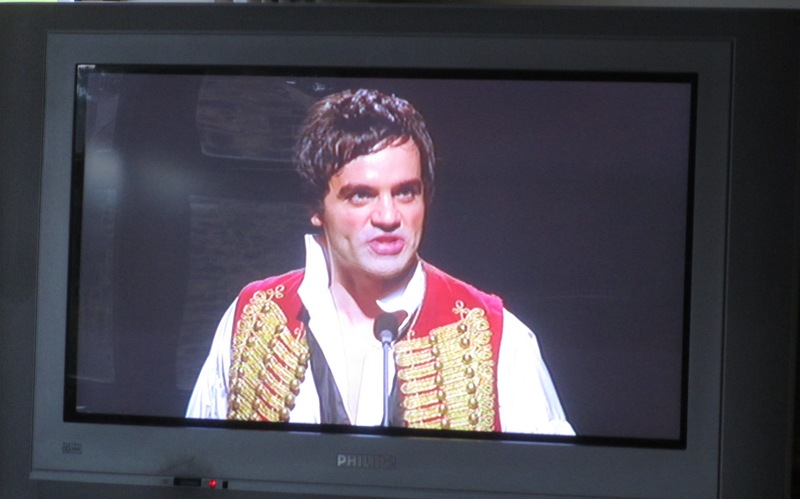 Ramin Karimloo. What’s not to love? Day 53. 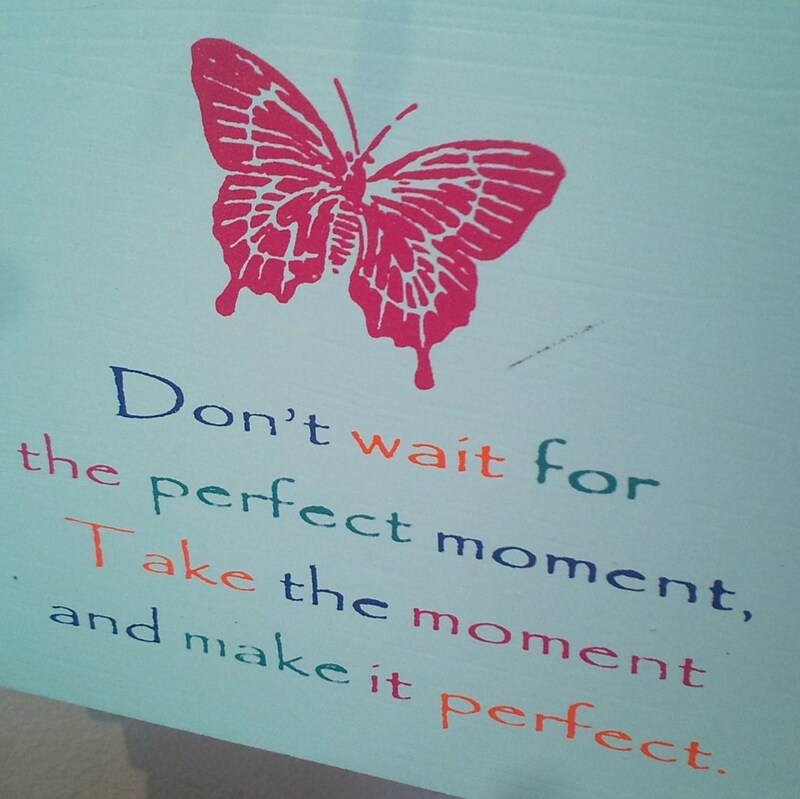 I saw this sign in the shop Evolution and I really liked the quote. I think it’s true, things don’t just magically happen perfectly, you need to make your own happiness amongst whatever is happening, and I think we all need to remember that. Day 72. 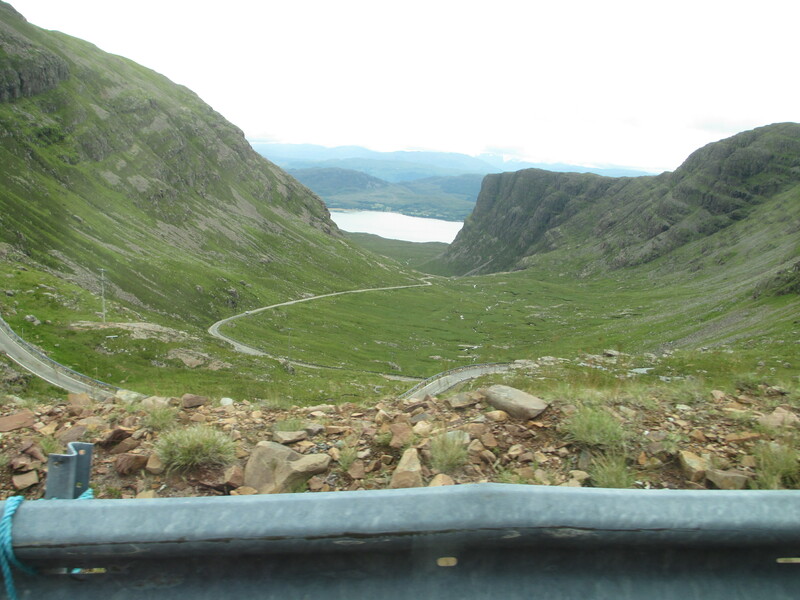 On our way to where we were going on holiday in Scotland, we decided to take a detour up the Bealach na Bà, which is a very steep, windy and high up road. This photos doesn’t really do justice to the sharp corners and sheer drops along there. I’m not sure I will ever be brave enough to drive it, I was terrified just being a passenger, especially when we met cars coming the other way and had to reverse into the side of the road. But my Dad did a great job, we all survived, and it was also very exhilarating. Also the views were incredible. Day 79. My friend sent me this link to this video, which as you can see he was very excited about. 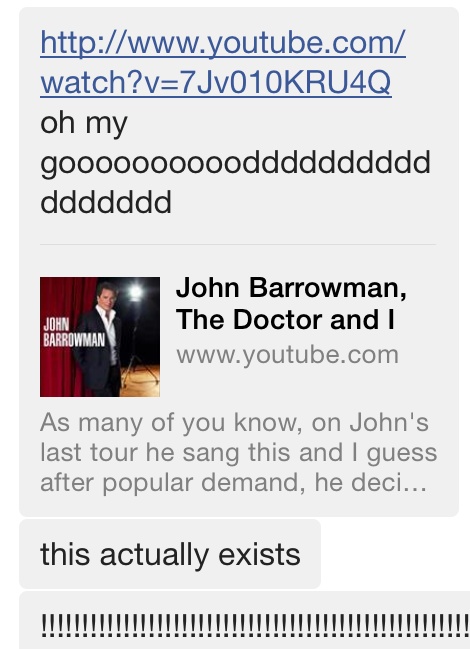 And for good reason, because yes, what you’re thinking is right, this is Captain Jack Harkness (well, John Barrowman) singing The Wizard and I from Wicked, but with a Doctor Who twist! I got this while on holiday so I sat in the Leisure Centre (only place to access internet) smiling to myself as I listened to it. Day 91. 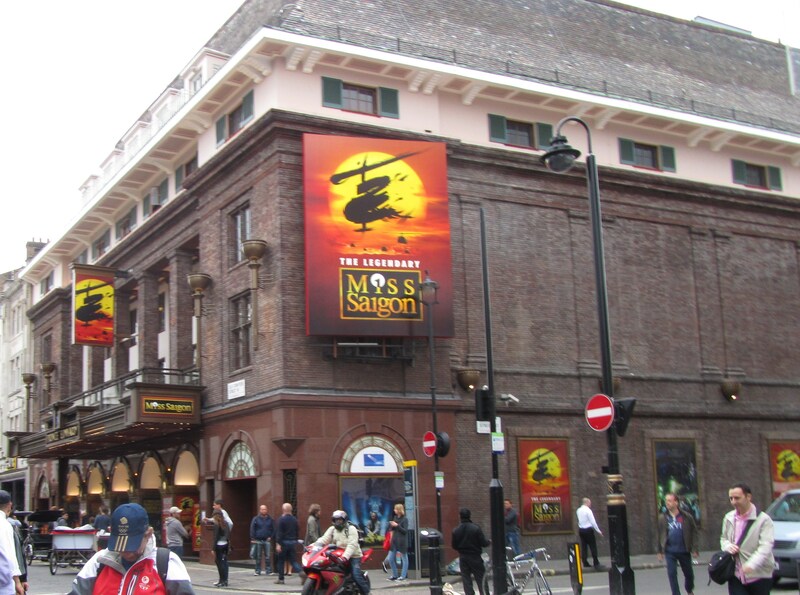 I love musicals, and have been lucky enough to see several in the West End – I have relatives in London so whenever I visit I try to get some cheap theater tickets. I especially like the ones by Schönberg and Boublil, I’ve seen Les Mis three times, and this summer I was very excited to finally be able to see Miss Saigon, which only came back to the West End in May. It was just so amazing, I could probably write a whole post just about how great it is seeing shows live. In fact I might do that at some point. Day 95. 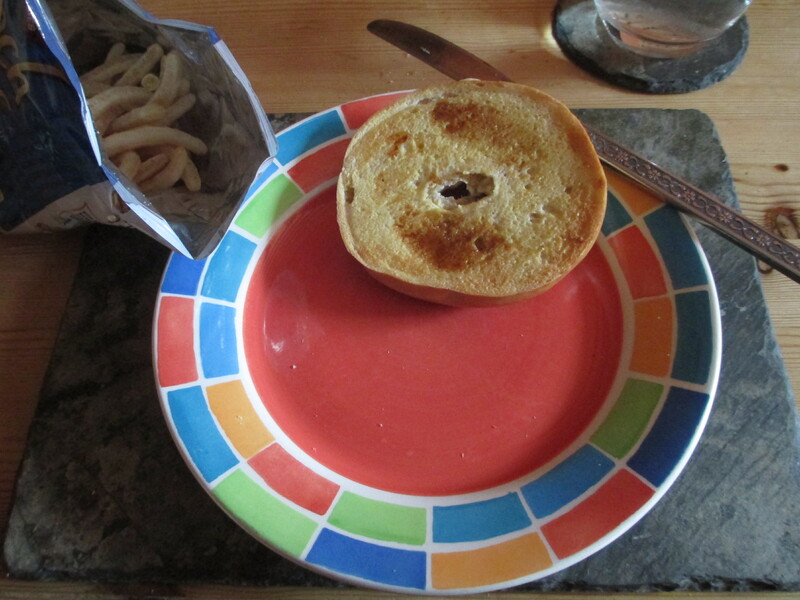 I was feeling a bit under the weather on this day, and i really had a craving for freshly baked buns (Cupcakes/muffins for any non-Northern folk). 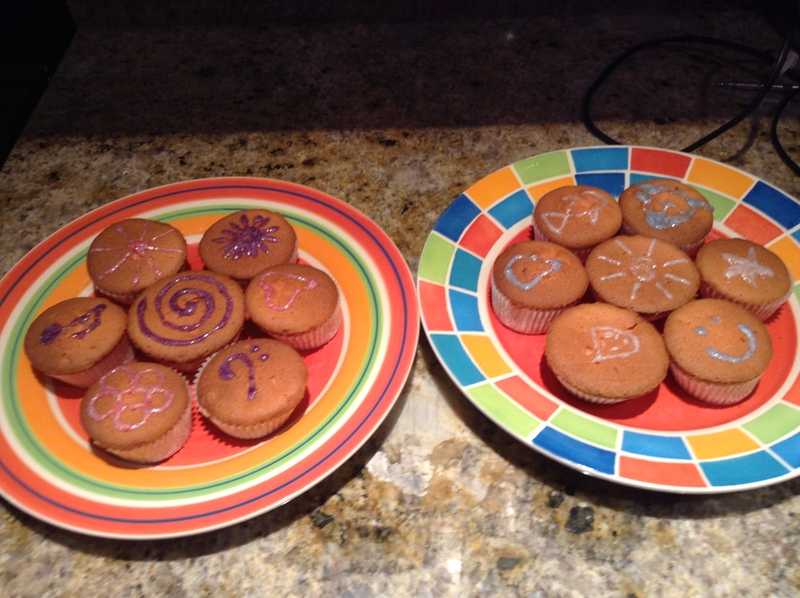 So I baked some buns, and because I felt like it I made them pink, then decorated them with glittery icing. This had the added advantage that my Dad was reluctant to eat such girly buns so it was all the more for the rest of us. Categories: 100 Happy Days | Tags: #100happydays | Permalink. Today is a reasonably significant day for me internet-wise. The second occasion which today marks is the quarter-way point for my #100HappyDays challenge. 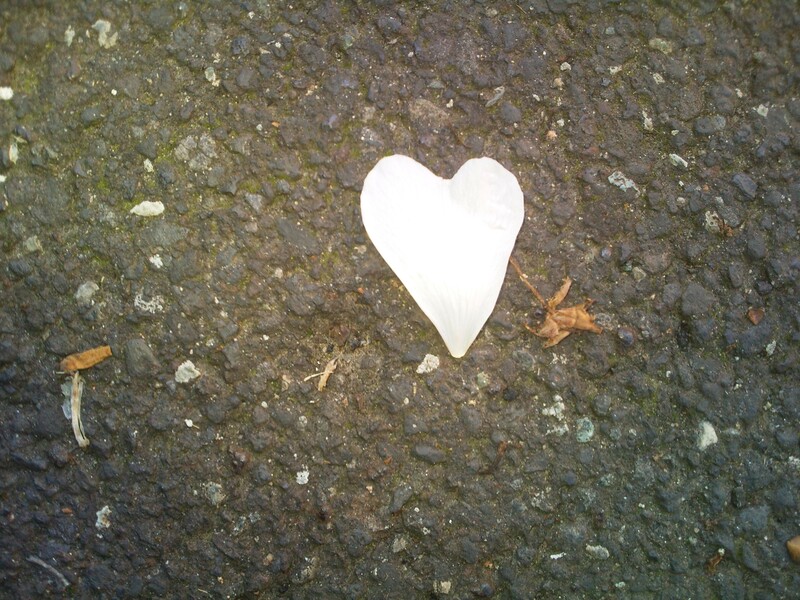 My photo today was this heart-shaped petal I passed on the pavement this morning on the way to the bus stop. It’s not a very good photograph as I forgot my camera so had to use my phone, but I still thought it was nice. I must confess there have been some days when I’ve struggled to find something to send in, either because I haven’t noticed anything which has made me happy, or because I’ve been unable to take a photograph of it (I fear the latter may happen more now I’m going back to college, can’t really take my camera out in lessons to take photos). I have managed to send in a photo for every day though, and i am enjoying the challenge. 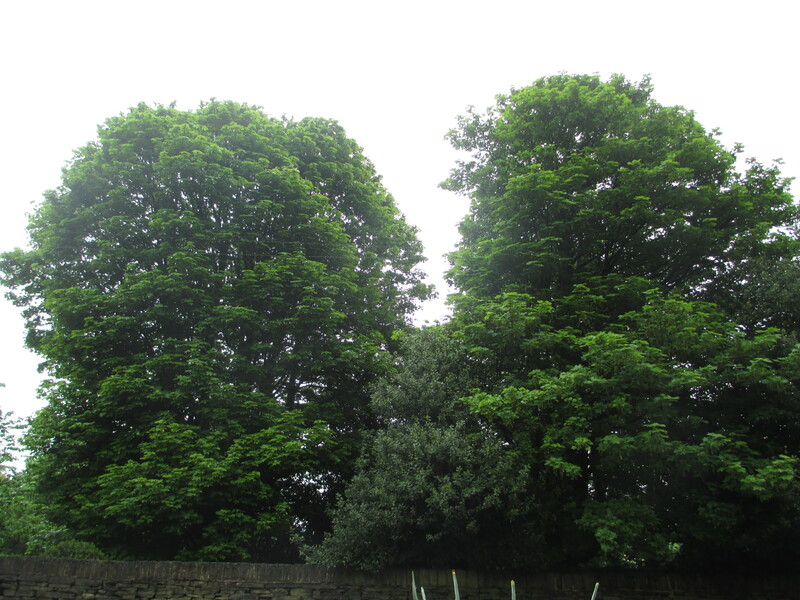 Categories: Uncategorized | Tags: #100happydays, my blog, positive Monday | Permalink. Yesterday evening I came home from having a few days of holiday with two of my friends in Devon. I had a very good time, went to beaches, paddled in the sea, shopped, watched films, walked in the woods at night, generally had a laugh. The only real downside for me was getting severely sunburned on the back of my legs when my friends wanted to sun bathe, despite wearing suncream (I have very sensitive skin). Luckily that happened on our last day so it didn’t spoil the trip, but I’ve been in a lot of pain and it was tricky navigating all the stairs at college today…so the moral is, wear loads of suncream. Seriously. Even if you think you don’t need it. My friends wanted to tan so didn’t wear any but were still complaining of it hurting today. 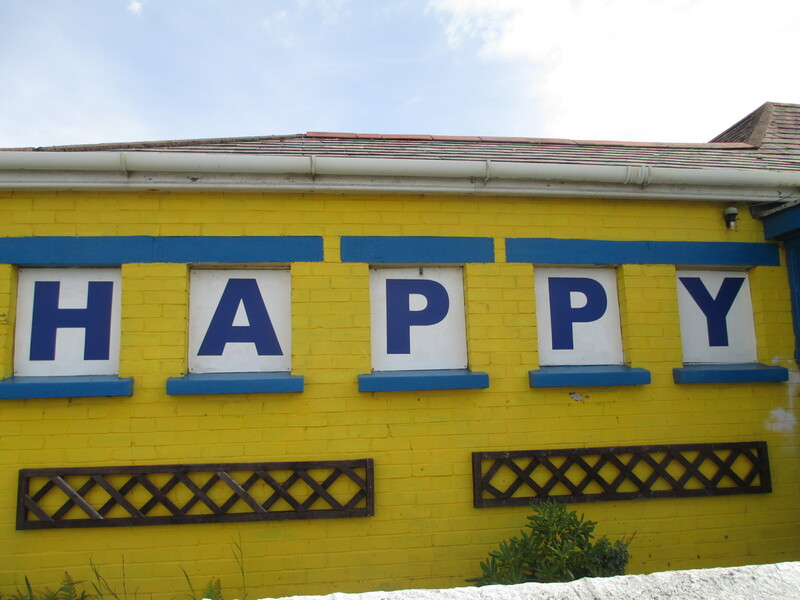 I mainly just wanted to share these pictures of the outside of a café and some houses I saw in a place called Westward Ho!. The café looked fairly grotty, but it was called the Happy Cafe, which made me happy, and I used that for Day 20 of my 100HappyDays. 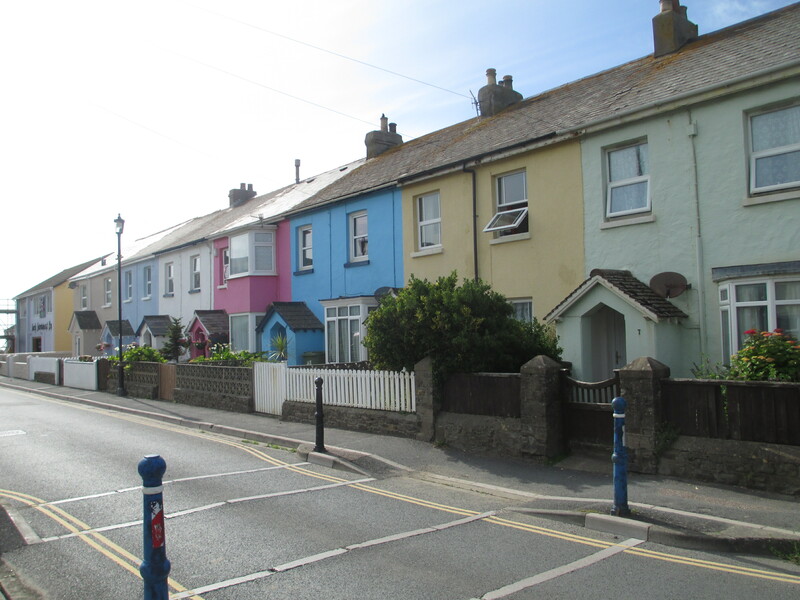 And I just liked the colours of the houses. And what I also think is awesome is that Westward Ho! is actually called Westward Ho!. With the exclamation mark. All the signposts and busses say Westward Ho!, which is just thought was so cool. 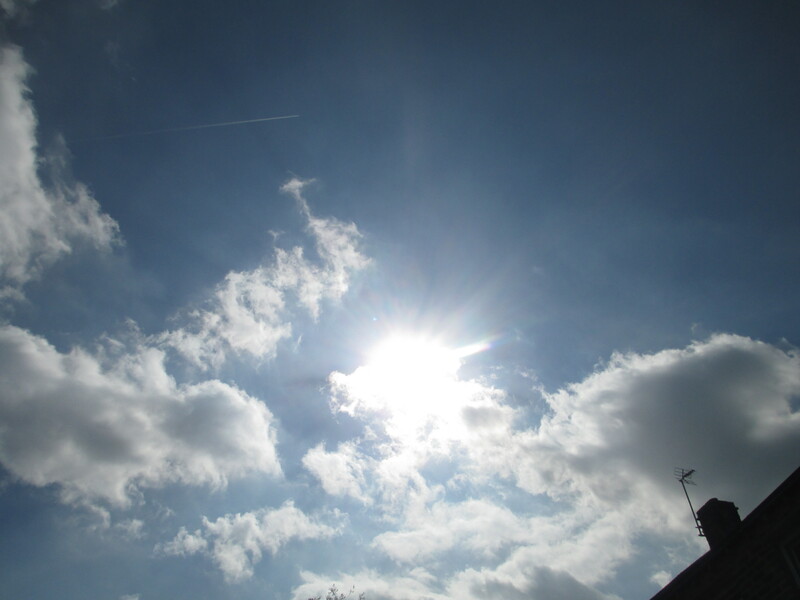 Categories: Uncategorized | Tags: #100happydays, cafe, Devon, Happy, sunburn | Permalink. I always get sad when things end or change. Leaving primary school, leaving high school, even just changing classes, leaving a holiday, clearing out old stuff, basically I never want things to stop. But then at the same time I like starting new things. A good example of this is me last summer, explaining to a friend that I couldn’t wait to start college. And I didn’t want to carry on going to school. But I didn’t want to leave school. College has so far been very enjoyable, but I still found myself today wishing I was in a high school RE or English lesson. I didn’t even like those subjects! I guess it’s understandable with something like that, even if you hate high school, it’s still the main part of your life for five years, there’s bound to be some nostalgia. But this is getting bad. 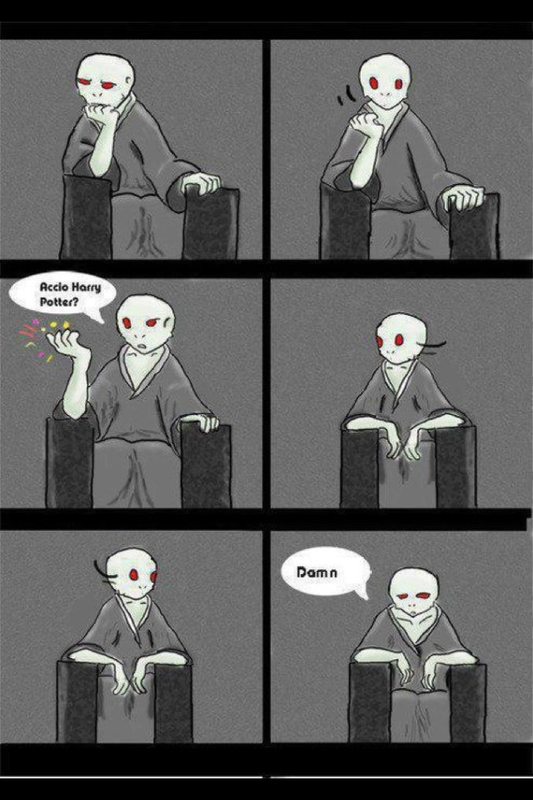 Really bad. Over Easter some of my family went to stay where my Mum grew up, and we went to her old Church for the Easter service, and there was a woman there who was moving away so it was going to be her last service there. At the end she made a short speech and was obviously rather emotional about leaving, and I found myself close to tears! I’d never been to the church or met the woman before! So I guess basically I’m saying that if you’re like me, constantly wishing things didn’t have to change, but at the same time wanting the new things, then it’s just a sign of how happy and full your life is. It’s a bit like the saying It’s better to have loved then lost, than never to have loved at all, which I completely agree with. And I hope now that I’ve realised this it will allow me to appreciate things more at the time, and accept that things have to end for new things to begin. Although I’m sure that won’t stop me from being very upset this time next year about leaving college. Categories: Uncategorized | Tags: #100happydays, Change, endings, happiness | Permalink.